Welcome to Ideal Driveways and Patios in Cork, registered and professional Cork paving contractors and tarmac contractors. 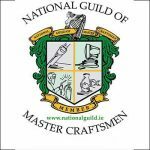 We are an established family-run business that have been operating in Co. Cork for over 20 years. 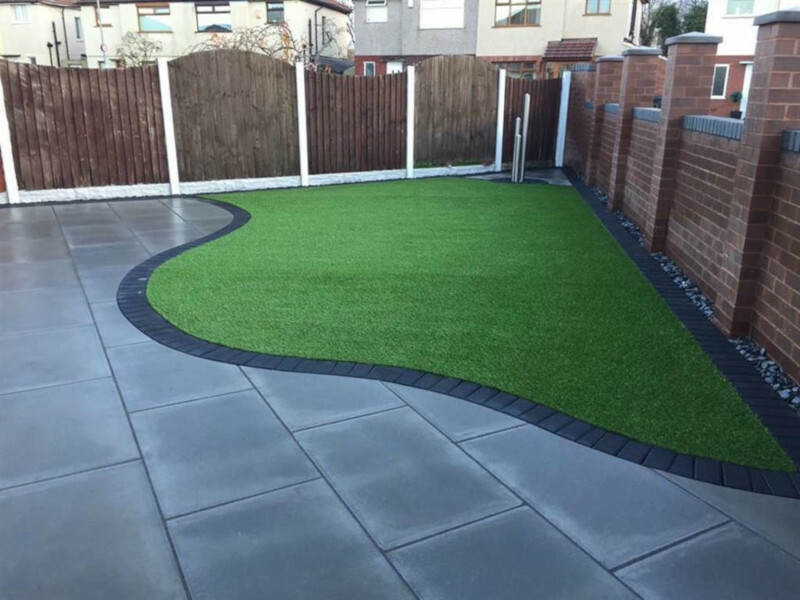 We can replace or install new patios, driveways including all styles of paving, tarmac, imprint concrete and gravel style driveways. 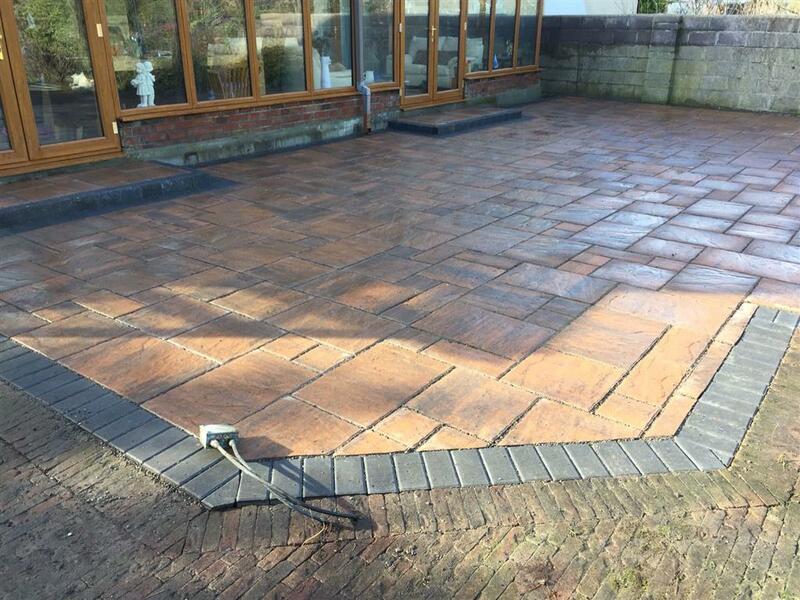 With our many years of experience and our dedication to providing a quality driveway and patio service, we can transform existing driveways or garden spaces into practical yet stylish solutions. As local paving contractors Cork, we offer a free no-obligation quote. 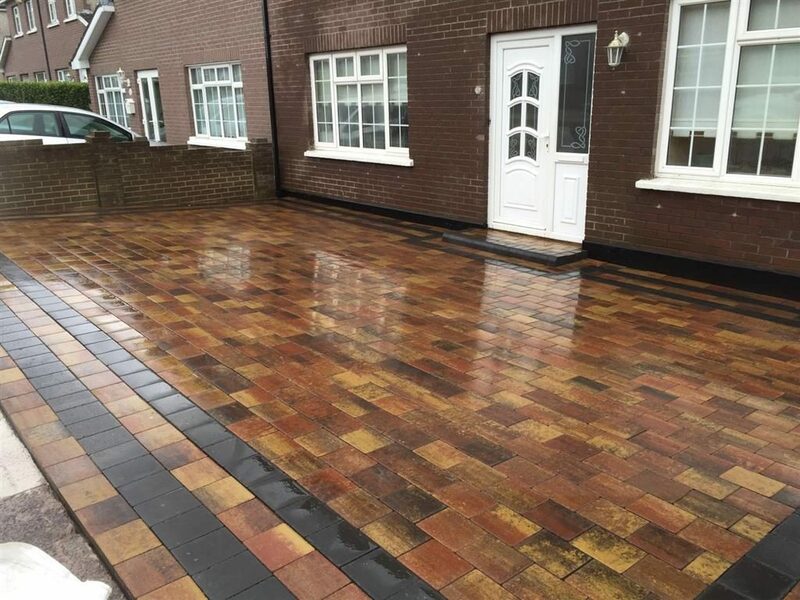 Ideal Driveways and Patios will be only too happy to come to your home in Cork to run through our different designs and to discuss the different types of driveway paving, tarmac, concrete or gravel we can offer. Multiple options on Cork paving for your driveway or patio area. 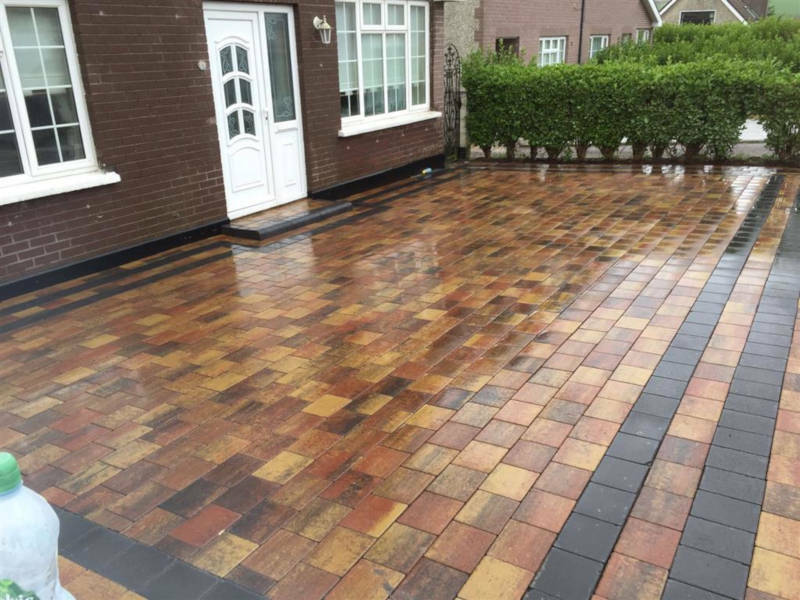 Options on standard paving, cobble stone or retro style block paving in Cork. 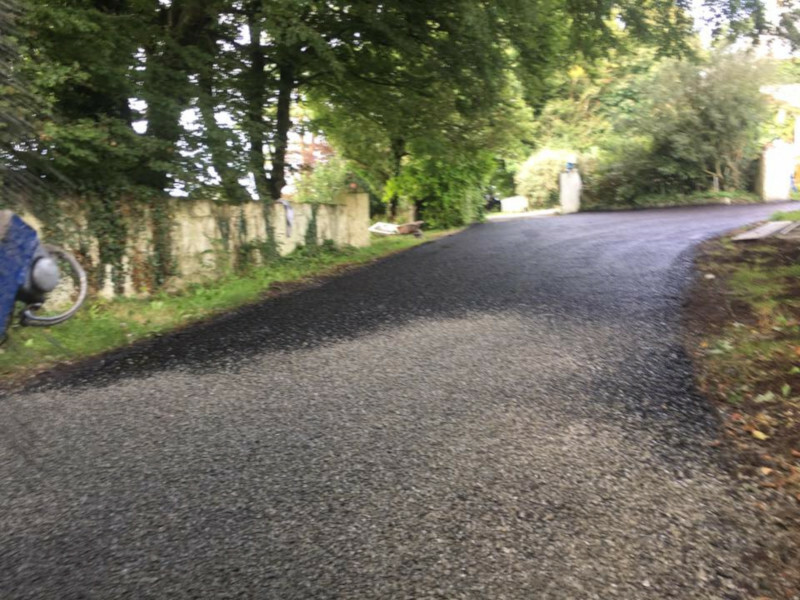 Reliable, reputable tarmac contractors Cork. 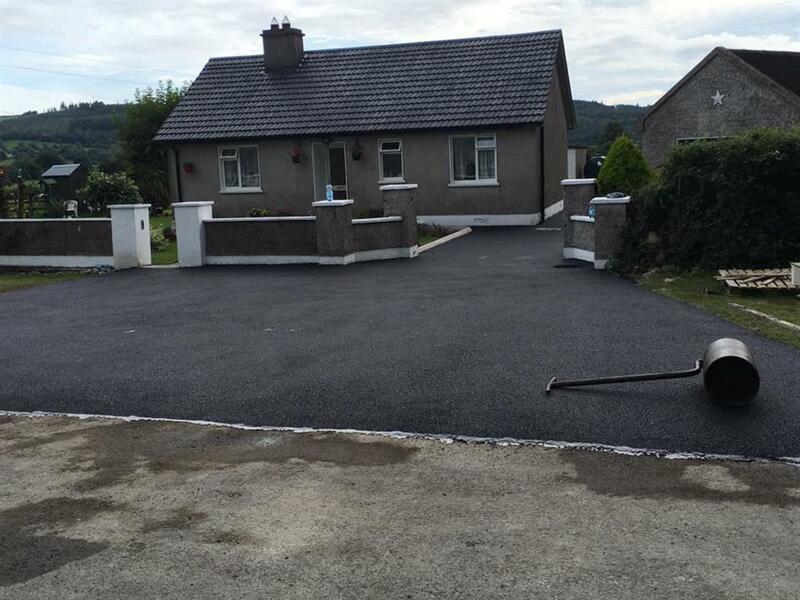 Get a free quote on installing or replacing your tarmac driveway in Cork today. New or replacement driveways. 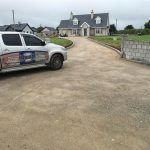 We are expert Cork driveway contractors. 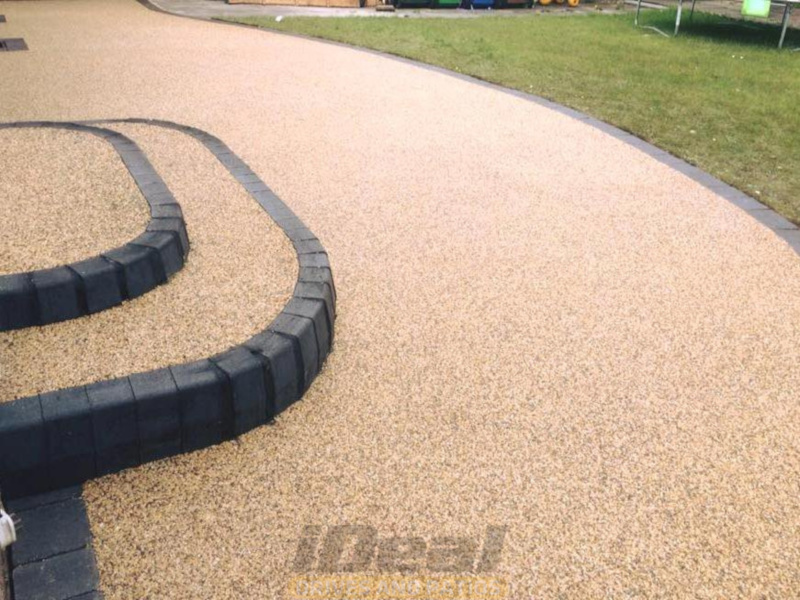 Options include Resin Bond, Tarmacadam, Asphalt, Block Paving, Gravel Driveways, Imprint Concrete. Ideal Drives and Patio use only quality block paving products to ensure a long lasting and durable block paving installation. 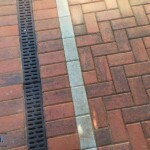 Depending on your selection we might recommend one style over another as some styles of block paving requires specific pattern choices to provide stability. 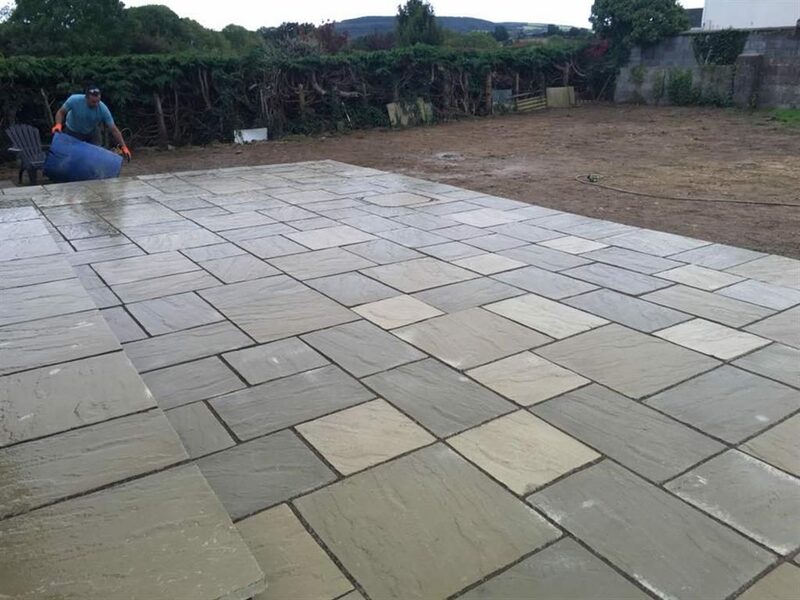 During our FREE quotation we can provide you with samples of the different types of paving that can be used on your driveway in Cork. All our Cork paving is covered by our written installation guarantee and installed to industry specifications. 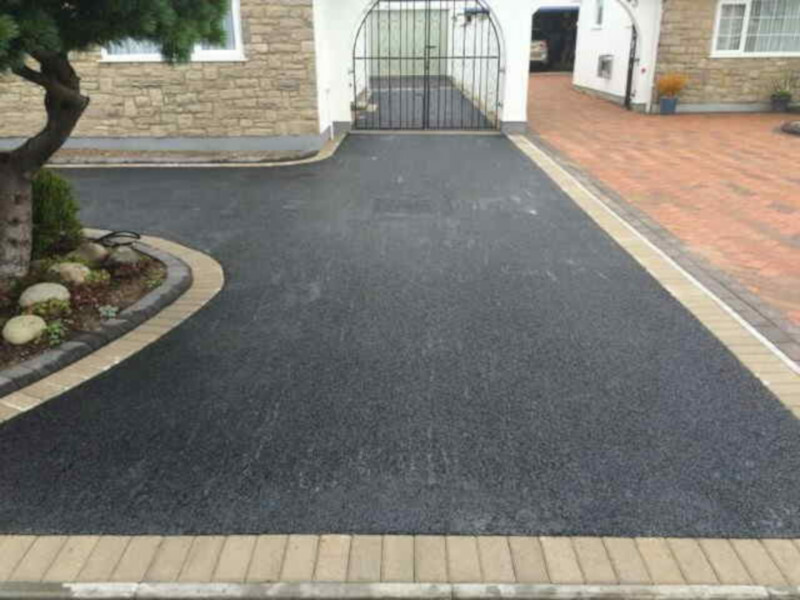 We provide a range of tarmac driveway options including asphalt and tar & chip. With options ranging from new tarmac driveway installations to more budget options like simply resurfacing tarmac driveways. Tar and chip driveways with silver and granite gold chipping finishes, asphalt with a fine wearing coarse finish. 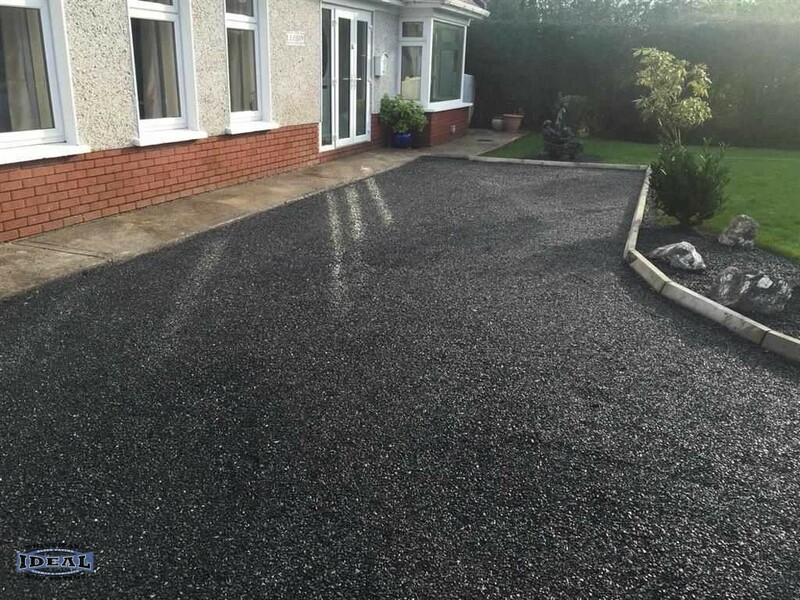 All our Cork tarmac driveway, tar and chip, asphalt and resurfaced driveways are guaranteed to withstand all types of vehicular traffic. 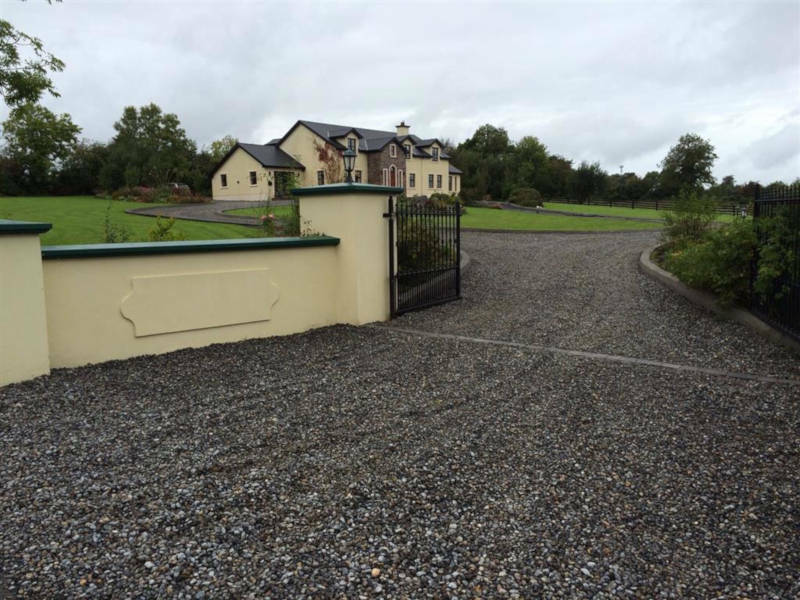 Get a free quote today on installing a new driveway in Cork. With options from tarmac in Cork to driveway paving, from shingle and gravel driveways to tar and chip. All of our driveways are competitively priced to match any other registered driveway installer and guaranteed to last. Our safe pass certified team will work with you to discover a driveway design that suits your tastes and requirements. 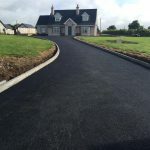 Our skilled paving and tarmac team has been installing driveways in Cork for many years with multiple tours of previous work available. TARMAC DRIVEWAYS, BLOCK PAVING, GRAVEL DRIVEWAYS, IMPRINTED CONCRETE, TAR AND CHIP DRIVEWAYS, NEW PATIO AREAS, PATIO PAVING AND MORE.